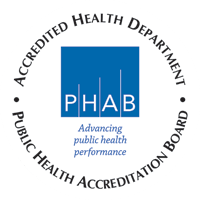 District Health Department #10 (DHD#10) is pleased to offer internship opportunities for students interested in gaining public health or other real-world experience. We have instated an internship application cycle in order to better coordinate with students and academic institutions. Please send all application documents to Katie Jourdan, intern coordinator, at internship@dhd10.org by March 30th. Upon placement as intern, students will need to complete background check forms, TB test and be compliant with DHD#10 vaccination policies. Students must provide evidence of compliance with these requirements by the orientation date. All internships are UNPAID, unless otherwise noted. Any questions about the application process should be directed to DHD#10 intern coordinator Katie Jourdan at internship@dhd10.org. 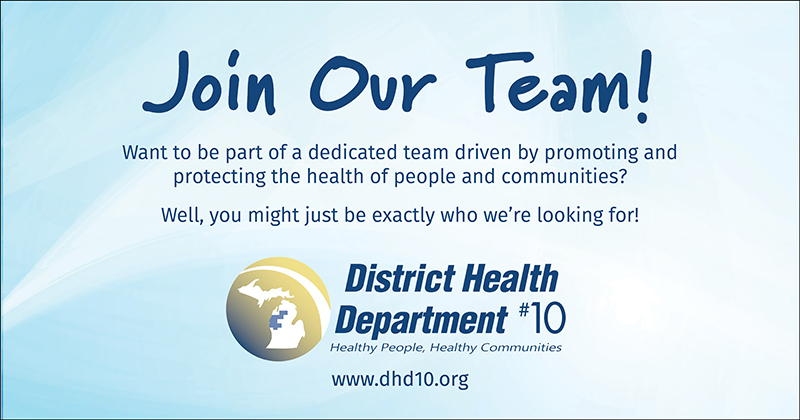 At District Health Department # 10 our goal is to recruit, hire, and maintain a diverse workforce. Equal employment opportunity is good business as well as being the law and applies to all areas of employment, including recruitment, selection, hiring, training, transfer, promotion, termination, compensation, and benefits. As an equal opportunity employer, District Health Department # 10 does not discriminate in its employment decisions on the basis of race, religion, color, national origin, gender, age, military status, disability, sexual orientation, family responsibilities or on any other basis that would be in violation of any applicable federal, state, or local law. District Health Department # 10 will make reasonable accommodations for qualified individuals with known disabilities unless doing so would result in an undue hardship, safety, and/or health risk.